Get the network and SAS cables you need for the best cable management here! Are you adding a new host server, storage, or networking to your current infrastructure? Are you making changes to your cable management strategy for better organization? Chances are you will need new Ethernet, SAS, or Fibre Channel cables to Get IT Done. Aventis Systems is here to help with a wide variety of cable types and lengths perfect for ensuring you always have the right cable for your device or infrastructure! Mini-SAS to Mini-SAS Cables, the perfect cable for connecting your host server to a Storage Area Network (SAN) array through your mini SAS port controller! SAS to SAS Cables, the ideal cable for servers connecting to Storage Area Network (SAN) arrays through a controller with SAS ports! 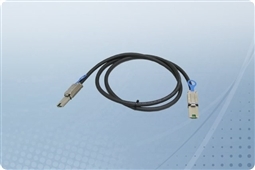 Ethernet Patch Cables, the best copper cables for getting your end point devices connected connected to a switch or router! 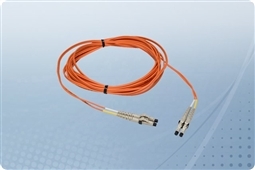 Fibre Channel Cables, for the faster fibre optic connection to your network from your Fibre Channel storage or controller! Aventis Systems delivers all of our SAS, Ethernet Patch, and Fibre Channel cables with a standard 1 Year Essentials parts replacement warranty with upgrades to Express NBD parts replacement and Extended 2 Year term warranties available. In addition, all of our cables come in a wide variety of lengths to ensure no matter the requirement for your cable management strategy, Aventis Systems is a one stop shop for the cables you need to Get IT Done! Shop our cable selection below and select the best in cable types for your business today!